The rising temperatures make an icy-cold beverage practically necessary! A customized 24 oz. 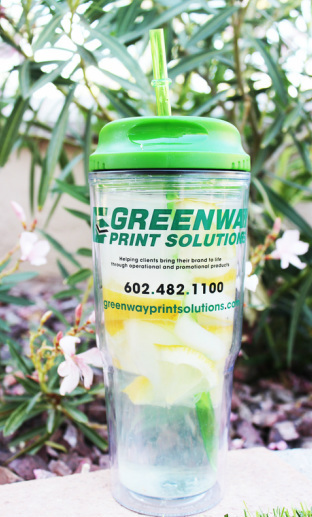 tumbler is the perfect product to quench your thirst while showing off your company's logo. Their price is just as refreshing- only $4.99 per tumbler, a promotional savings of over 30%!